RARELY in the 12-year history of Christy Ring Cup has one game meant so much to one group of players. Yet, for Antrim, this Saturday’s clash with Kildare is more than a second-tier Championship match. The fallout from their dismal National League campaign has been seismic, culminating in the departure of manager PJ O’Mullan after less than five months in the job. With the Christy Ring Cup looming, four former Antrim players, have stepped in to fill the void. Terence ‘Sambo’ McNaughton, Dominic ‘Woody’ McKinley, Gary O’Kane and Neal Peden will oversee the hurlers for the remainder of the season. For ‘Sambo’, the decision to return to the managerial fold was a straightforward one. “Whenever your own is in trouble. . . we had a talk about it and said it would look bad if we didn’t step up,” said McNaughton. “I was involved with Cushendall in their All-Ireland campaign and I could have done with a break but I am looking forward it. “It is my own county and, hopefully, we can bring a bit of stability to the situation. “We didn’t get a lot of time to work with the players. “I think, between us, we know the players and have worked with them at club level. McNaughton and McKinley managed the Saffrons from 2007 until 2009 while O’Kane and Peden have also managed their native clubs, Dunloy and St John’s respectively while ‘Sambo’ trained the Ruairi Og’s to the All-Ireland club final this season. Having two sons, Shane and Christy, on the team made it an even tougher watch for McNaughton, but he has no qualms with the final result. “I think the reality is that we met a very good Na Piarsaigh team,” said McNaughton. “If I am being honest, I don’t think any club team would have beaten them that day. They are a good outfit and they have been knocking on the door for the last four or five years. “They are way ahead of us and they were the better team – there is no doubt about that. They are a big, strong team and they were hungry. The Cushendall contingent of Ryan McCambridge, Conor Carson, Eoghan Campbell, Paddy Burke and Sean McAfee have returned to the Antrim set-up ahead of the Christy Ring Cup. Additionally, Neil McManus has made himself available for the opening rounds before he goes travelling next month. The return of the Cushendall players should give the squad a lift ahead of their Championship campaign. ‘Sambo’ believes that the team should strive to better their current standing and restore pride in the Antrim jersey after a turbulent few months. “Hurlers love playing the game and young fellas coming into the summer want to have a hurl in their hand,” said the Cushendall native. “Any player with ambition wants to play at the highest level possible. “That’s always been my mentality anyway. I loved playing for the county because you were competing against the best hurlers in Ireland. Having watched Antrim’s decline in recent years, McNaughton feels that the current crop of players are good enough to turn things around – but only if they are prepared to fight for the jersey. 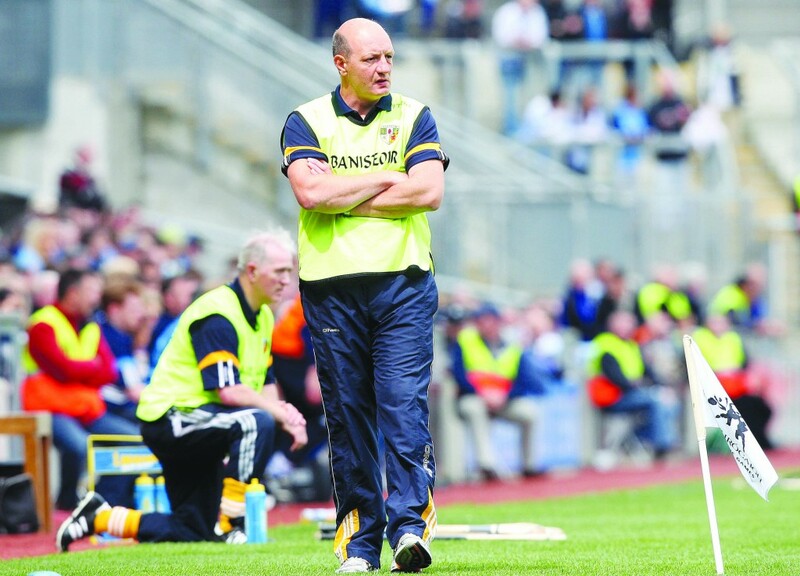 “I think Antrim hurling, in my lifetime, have gone back a fair bit but I do believe that we have the hurlers who can bring us back,” said ‘Sambo’. “I still believe we have good hurlers. “I think (we need) a bit of honesty, a bit of realism, character. I would have had the utmost respect for the guys I hurled with. “I hope that’s what we bring to the table. That the players have a bit of respect for each other, respect for the jersey. “That’s all we can do. It is not rocket science – we are just asking people to be the best they can be. “If the guy beside you is giving it everything and you’re giving it everything, that’s all you can ask. “Maybe that’s not what we have been getting over the past few years. I have been to the majority of matches over the last number of years. He added: “These are old-fashioned words but it is still the same, you need guts and drive to be a county hurler. “Every person you play against his skill but you need that desire. They have become old-fashioned words – desire, commitment. If you bring them up in the changing room, you’re nearly embarrassed because there are newer words and new ideas. “When we played, if you got beat, you got beat with a bit of pride and you went down fighting and you don’t blame the tactics. Parnell Park will host Saturday’s game in order to accommodate Antrim fans who want to travel to Croke Park to see the Saffrons take on Louth in the Division Four football later in the day. The Lilywhites may have avoided a long trip north to Ballycastle but they will surely have to brace themselves for a backlash on Saturday. Antrim’s results in the league were dire. Losses to Westmeath, Carlow and London ensured that promotion from Division 2A was unattainable. The wins against Derry and Kildare were also unconvincing. Derry actually led by five points at the break before the Saffrons claimed a six-point win while Kildare hit 3-13 in defeat in Ballycastle in round two. Ultimately, Antrim proved much too strong for Kildare that day and won by 12 points. A similar fate surely awaits the Lilywhites in Dublin on Saturday.